This garden is located on the banks of Fateh Sagar Lake, presenting a green retreat in the dry lands of Rajasthan. Garden of maids was built from 1710 to 1734 by Maharana Sangram Singh for the royal ladies. 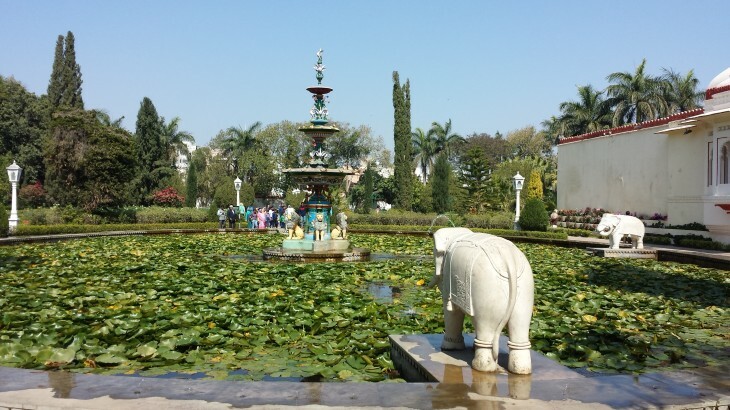 Saheliyon Ki Bari is one the most beautiful gardens and a major tourist destination in Udaipur. The garden is famous for its lush green lawns, marble art and fountains. English translation of Saheliyon Ki Bari means "Garden of maids". This renowned garden is located on the banks of Fateh Sagar Lake, presenting a green retreat in the dry lands of Rajasthan. Garden of maids was built in the 18th century by Maharana Sangram Singh for the royal ladies. The Saheliyon ki Bari is opened from 9 am to 7:30 pm.